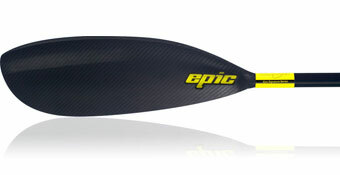 The Epic Mid large wing is the paddle of choice for sprint and marathon racing for strong athletes. The same area as a Bracsa 1 min it is suitable for most male paddlers and of course some female! It is beatifully balanced in the water giving the forearms an easy time of it. It comes with a stiff shaft and is fully adjustable in length and angle. A softer carbon shaft is available on request.